10 Minute Online Core Workout For Men, and Women Tougher than a Man! This 10 minute online core workout for men, and women tougher than a man (you know you are! ), is a perfect addition to your workout of the day or on its own if you’re short on time and just wanna blast that mid-section! 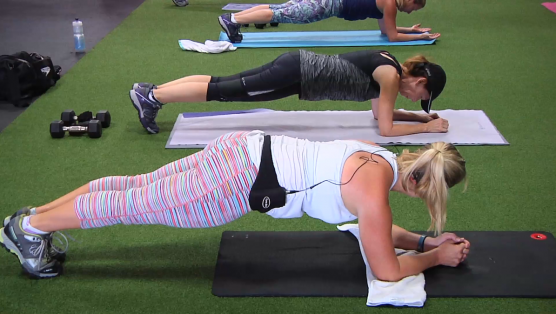 We cycle through 4 of the best ab exercises that are guaranteed to challenge and change our cores, while elevating that heart rate so we crush some kCals as an added bonus. Strong core muscles mean more toned abs, better balance & stability, and improved endurance strength. So, if you want some of THAT… click play for 10 Minutes of Tough. I thrive on these quick workouts. I love them! MM2019-One of my favorites because it doesn’t feel like ab work but it is!! MM2019 – tough core… Thanks. MM2019 Week 3 Strength Class #2 Loved this quick blast as I was pressed for time. Going to favs list!! MM2019 Week 3, Strength class #2. Great, quick workout! MM2019: extra class to work the abs. Ready for week 3. Thanks Brian! MM2019 – Excellent class! Thanks! MM2019 #5. Fast paced core workout. MM2019….loved it thank you Brian!!! Tough on this old lady but I pushed through. Love it! Ay yi yi….did your recent spin (but on the tm) and then this because another on demander (James) said he heard you give me a shout out (well, it was my name so i will take it) and even though i knew it was coming, it was the perfect boost when i was flagging. Thanks a bunch! Would love more workouts like this one! Brian, you are the man! Thank for creating this core challenge! Fantastic addition to any workout! My abs are shaking, thanks Brian! V says Oh My Gosh! I’ve never huffed and puffed and sweated so much doing abs!! Wonderful ab ckass!!! The burped is my arch nemesis. .. but you made them fun. Great way to tone the core and boost the HR!!! Thanks for a great class and shout out! Wow, that was fast and Awesome thanks for this one Brian. This was a great super set for my ab workout today. High Five!! “You know what’s better than an unhealthy heart?” I almost fell out of my walkouts I was laughing so hard!! Best. Line. Ever. Loved it!!! Put it right to favorites!!! Another one for my faves! Holy cow those hollow mans are tough! Loved it!! Thanks Brian! Great quick workout, Brian! Love these quick ones to add on to a ride. Can’t say I was a fan of the Hollow Mans. Owww! Yay a new Brian session… great burn great core work in 10 mins.. added onto Elizabeth HIIT.. This Studio SWEAT onDemand classic virtual mat pilates class guides you into a continuous flow of core strength and endurance as you move through flexion, extension, rotation, and stability exercises fluidly without breaks. Key in on all the cuing to perfect your pilates practice, and feel free to repeat this amazing mat pilates workout to learn more and more each session! It only gets better with each effort. The name says it all. Some of the best ab exercises you can do, and all in only 9 minutes. Let’s carve it up! Let’s not lie and claim that after this amazing ab workout you’re gonna walk away with six pack abs. That’s called false advertising. However, you can expect fantastic ab flattening and awesome core exercise geared at building mid-section strength. And with the core being the center of your strength zone, balance, and everyday function, that makes this a much needed workout, agreed!?! So let’s focus on that. 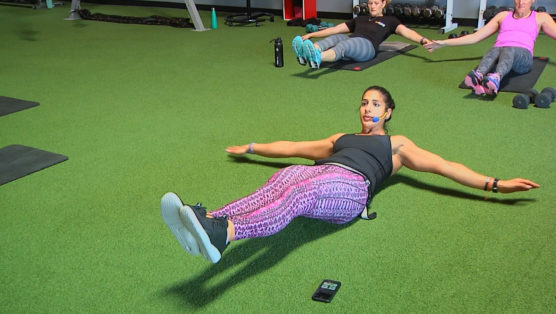 Bethany masterfully hits all the major core muscle groups in what you’ll quickly claim one of your best ab workouts ever. Well, all right!